Home Unlabelled How does integrated reporting launch business transformation? How does integrated reporting launch business transformation? Accounting and business process management professionals are discussing a relatively new concept that involves synchronizing all facets of an organization. According to the Chartered Institute of Management Accountants, integrated reporting consists of defining an enterprise's strategic approach, administration and efficiency. The source maintained that it allows experts specializing in different facets of a company to identify connections between the entity's financial performance and operations. One of the reasons why IR is becoming a more popular business practice is that it serves as an effective measure of sustainability. It's quite similar to benchmarking, or comparing an organization's general practices with what industry experts define as optimal protocols. IndustryWeek contributors Sean Smith and Roberto Cruz discussed the strategic advantages of integrating IR into company operations. They both noted that the results produced by IR initiatives (which are typically carried out on a continuous basis) provide potential stakeholders with the type of thorough information they're looking for. A large part of investment is all about weighing risk by observing a business' decisions and how they affect its surrounding environment, which is comprised of workforce liabilities, ecological considerations, social cognizance and other factors. Basically, will the organization in question cause residual changes that are viewed favorably by the public and will it make a profit doing so? Cruz and Smith maintain this is what differentiates IR from conventional financial reporting endeavors, which typically focus on dividend yields, free cash flow yield, net income, return on equity and earnings per share. In reality, this side of accounting fails to consider managerial capabilities and decisions. To better understand the value in observing corporate governance and culture, consider the difference data scientists are defining between unstructured and structured data. The former contingency has been regarded as the driver of the big data analytics movement, and is comprised of video, written text, photos and other media that isn't easily classified by relational databases, which can organize information that is has easily identifiable components. Yet, unstructured data provides a plethora of information to those observing it. The saying "a picture's worth a thousand words" is applicable in this respect. The human brain can process an incredible amount of data when reading documents, watching videos and so on. IR considers the unstructured data that resides in every organization. Those putting the concept into practice recognize that numbers represent a relatively marginal part of enterprise operations. Culture, methods and practices define where enterprises are headed from an investment standpoint. 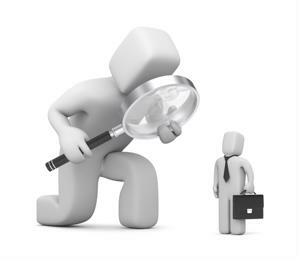 Accountants and business analysts can be regarded as detectives in their own right. In regard to investment, approaching an investigation with IR in mind can allow them and their associates to deduce whether a company's decisions are negatively impacting global societies and/or economies. The sourcing specialist will notice discrepancies or inaccuracies in regard to supplier relations, such as a lack of clarity in how a factory in Southeast Asia acquires gallium. The web of suppliers is clearly defined, enabling the auditor to weigh the impact these partnerships have on global sustainability and social events. It would be wrong to consider IR to be the next generation of procurement management - that's just one business facet. IR regards every component and determines how each one affects businesses on a holistic level.